Query names listed in the table below are to be scheduled using the steps below as it deals with a large amount of data. Navigate to Main menu > Reporting Tools > Query > Schedule Query. User will be directed to the Schedule Query page. Enter the Run Control ID, enter any value without spacing (e.g. RPT_RP_001). 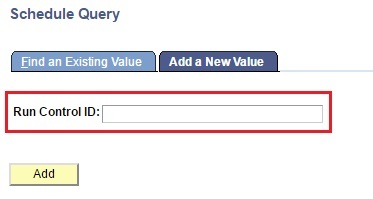 Note: Refer to the table at the end of the page for the list of Query Names. 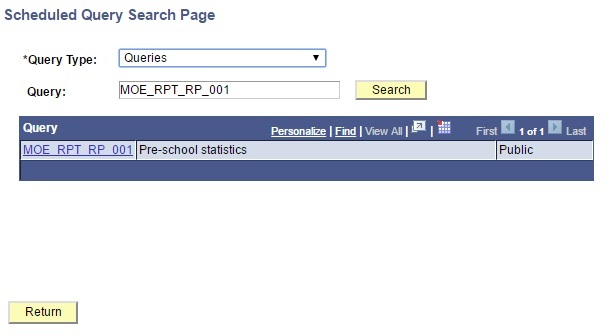 User will be directed to the Scheduled Query Search Page which shows the search results. Click on the Query link to select the report or click Cancel button to return back to Schedule Query page. User will be directed back to the Schedule Query page. Click on the Run button to run the psquery process. 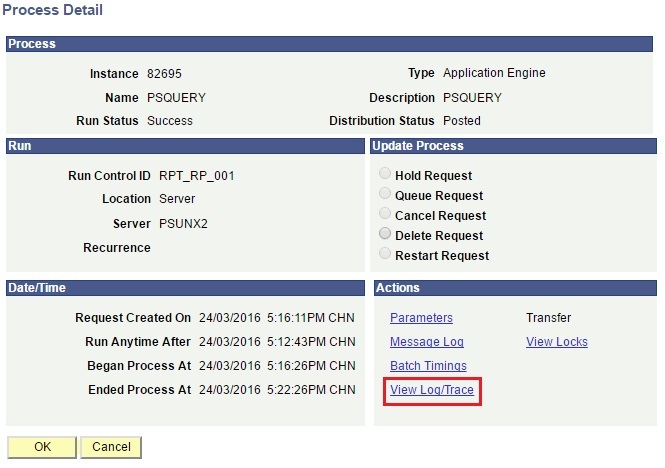 Ensure the process name PSQUERY in Process Scheduler Request page is checked. User will be directed back to Schedule Query page. 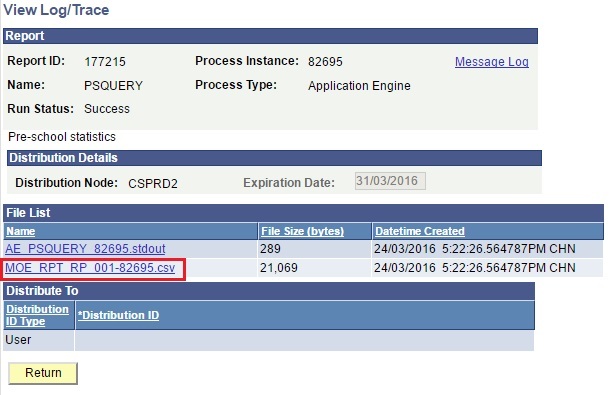 Take note of process instance number and click on the Process Monitor link. User will be directed to Process List Page and should be able to see that “Run Status: Queued” and “Distribution Status: N/A” for the process name PSQUERY. Click on the Details link that is to the right of the process name PSQUERY. In the Process Details page, click on the View Log/Trace link. In the View Log/Trace page, click on the .csv link to download the file.